I've never been a huge celebrator of St. Patrick's Day, but every year for the last five years, I've made Irish Soda Bread for the occasion. With all that beer, you might as well wash it down with something tasty! 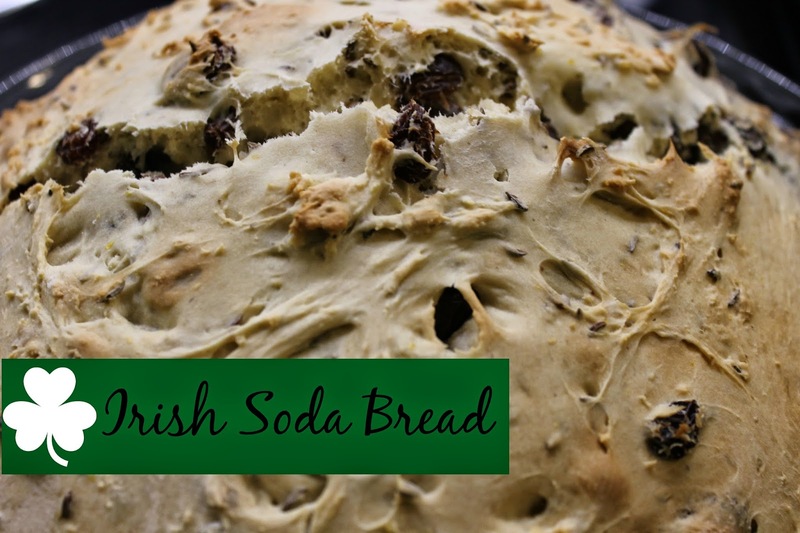 Now, I'm not Irish...not even close to it...I've been sunburned a grand total of one time in my life and I see tan lines the minute the sun comes out...but I've recently adopted an Irish last name so my tradition of soda bread making continues! 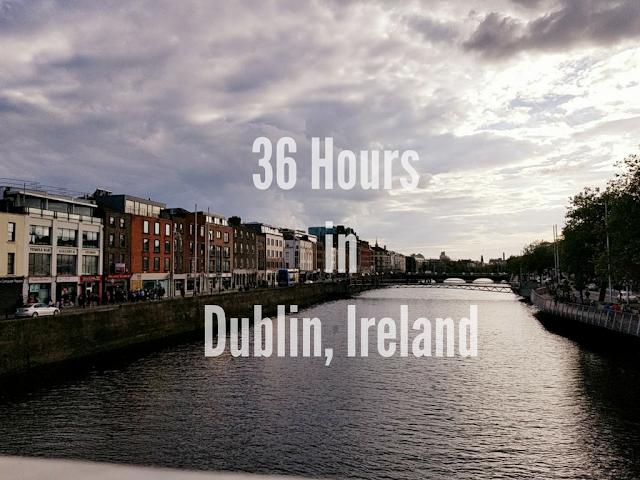 In the years I've been making Irish Soda Bread, I've learned a few tips and tricks along the way to make what is, in my opinion, the best. So, I'm sharing my amalgamation of said recipes with my own insight added in. This recipe is most closely based off of Ina Garten's. There are two questions that need to be answered before attempting a soda bread recipe. The first: Black currants or raisins? The second: Caraway seeds or no caraway seeds. As for me, I alternate between raisins and currants. I tend to use raisins more often because I always have them in the house, but currants are just as nice a touch. When it comes to caraway seeds? It isn't soda bread without them. 1. Soak the raisins (or currants) in a bowl of water for at least 30 minutes before starting. (This will get them plump and juicy which tastes excellent once the bread is baked). 2. Sift the dry ingredients together into a large bowl. (I've made this without sifting as well and it just results in a heavier, more dense bread). 3. Cut the butter into tiny pieces and add it to the flour. 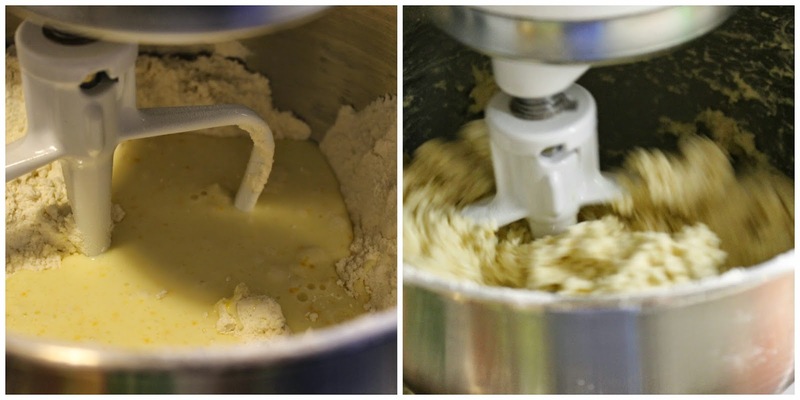 Mix on low speed in a stand mixer or with a hand mixer until the butter is well mixed into the flour. (You can use your hands too if you're looking to get in an arm workout for the day). 4. 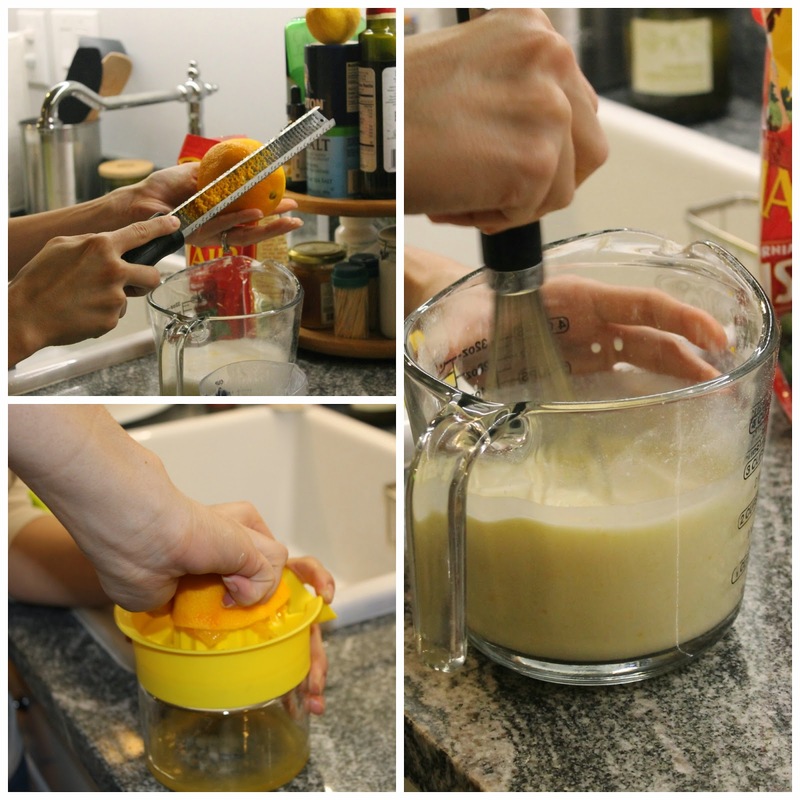 Whisk together the buttermilk, egg, orange zest and juice. 5. Slowly pour the liquid mixture into the the dry mixture while it is mixing. (I keep my mixer covered with a towel the entire time so it doesn't spill everywhere). 6. Add in the caraway seeds and raisins. The mixture will be very wet and sticky. If it's too sticky, add an extra tbsp of flour. 7. Knead the dough (either with a dough hook) or by hand. You can use a number of dishes to bake the bread in. I've used a Dutch Oven, a pie plate or a loaf pan. The loaf pan takes much longer and is less traditional, but it will work just fine. If you want to be really traditional, cut a cross into the top of dough (to ward off evil spirits!) before baking. Bake at 375 for 45-55 minutes. I usually set the timer for 45 minutes and then cake test it to see if it's done. So, there you have it! A delicious St. Patrick's Day treat than anyone will enjoy! How are you celebrating St. Patrick's Day today? HAHAHAHAHA, your comment about sunburns is fantastic. Made my morning, lady! Thanks for sharing this delicious treat :)! Happy St. Paddy's day! YUM!!! I want to try this now--thanks for sharing! !